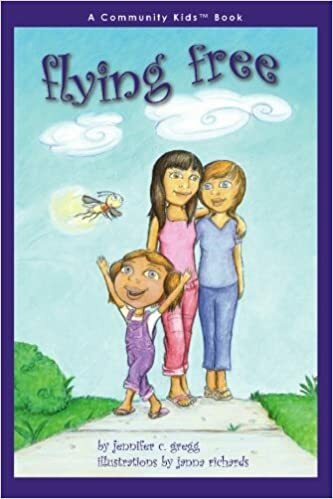 Flying Free (2004), written by Jennifer C. Gregg and illustrated by Janna Richards, is a sweet story told from the point-of-view of a firefly after it’s captured by a little girl. The child, Violet, is excited to show her catch, the firefly, to her two moms. Violet plans on using the firefly as a night light. At the suggestion of her moms, and with their help, Violet helps make the jar a bit more comfortable for the imprisoned firefly. But, the firefly isn’t comfortable and keeps trying to escape eventually deciding not to glow so Violet will let it go. Her moms are able to convince her the firefly will only glow if it is free, and Violet release it. The story subtly introduces themes of empathy and ethical decision making. The fact that Violet has two moms is present but not part of the plot. It’s a fine book for families looking for LGBTQ inclusive content for very young children that normalizes without problematizing lesbian moms.